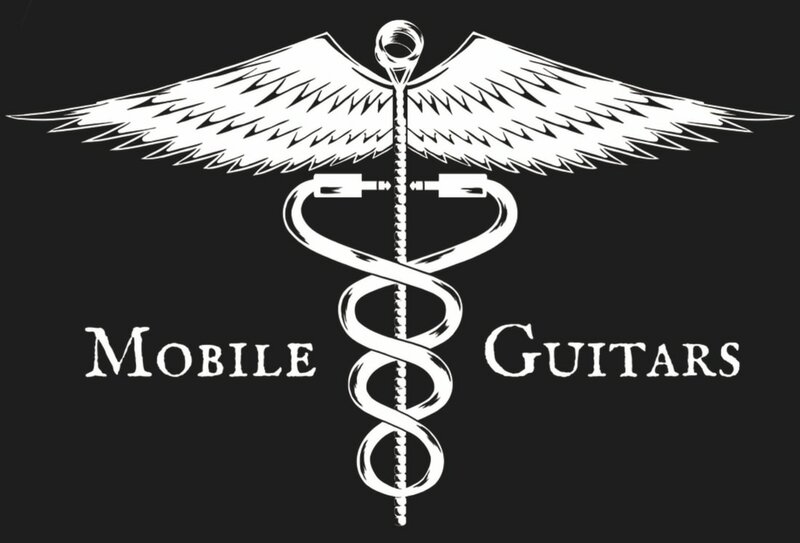 Mobile Guitars offers our customers the option of coming to us, or us coming to them. We take pride in removing the hassle of getting your guitar setup properly. Brooklyn, The Bronx, Staten Island, Connecticut, New Jersey, Pennsylvania and more. Drop off service is also available by appointment to our shop in Bayside, NY. • Customers provide strings or buy from us (2 sets recommended) unless otherwise stated. We proudly stock Ernie Ball strings at the shop. Please email us photos and make and model for all structural repair inquires, fret work, rewiring, modifications, nut work, finish work etc, and we will get back to you right away with price and time frame estimates. Book an appointment for Mobile Guitars to service your guitars or basses in the convenience of your home, office or studio. The same service we offer rock stars across the globe is now available to you.​ We come to you for a minimum of 3 guitar setups, offering setups, light wiring, and pickup installations. • Customers provide strings or buy from us (2 sets recommended) unless otherwise stated. We stock Ernie Ball strings at the shop. Routine On Site Maintenance Plans Available. Please contact us for a custom quote. Mobile Guitars can optimize your pedal board with custom cable lengths, the correct pedal order for your sound, and ensure that you are distributing power correctly. Get the gear the pros use, and contact us today for a consultation and estimate. Mobile Guitars Pro Drum Tech can optimize your kit's performance and help guide you to the correct gear for the best playing experience. ​get the same service offered to the pros. Mobile Guitars will compile a "wish list" of what you are searching for, and will actively search for those guitars or amps for you and do the proper research to ensure their authenticity. to ensure optimal play-ability for your recording process. Please email us for day rates and multi day quotes. Mobile Guitars also offer a variety of stage and live event services. Backline, Drum, Guitar and Bass Technicians, Stage Management, Live Event Planning, Stage Hands, Loaders, and Players! We have extensive resumes in all of these jobs, and work with a network of other pro touring personnel to handle the tasks we do not. Please email us today regarding your show/tour and what services you need for it.